You have to wonder about the reasoning behind the Travel + Leisure magazine article about the 2013 World Economic Forum’s Travel & Tourism Competitiveness Index. The WEF rated Barbados at a very respectable 27 out of 140 countries rated and near the very top in a number of categories: Sanitary (1), Hospital beds per population (12), Regulatory framework (13), Prioritization of Travel & Tourism (8), Ground transport infrastructure (9), Affinity for Travel & Tourism (2), Education quality (7) and so on. 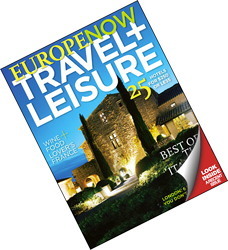 But what does Travel + Leisure magazine focus upon? We did poorly for Natural Resources (133). That’s no surprise given our population density, lack of natural resources, water shortage and frankly, successive governments and a population that don’t seem bothered by trash or paving over natural habitats. Yes, we could use some big improvements in that sector, but with all we have to offer and how well we did overall, it is unfair for the magazine to mention one of our few faults without commenting on our overall standing or successes featured in the WEF’s Travel & Tourism Competitiveness Index.